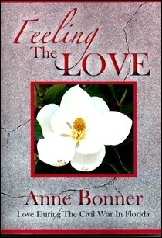 Angel’s True Love – A saga of love, lust, faith, betrayal, marriage and seduction in the old South. A seductive tale of love, treachery and betrayal in the late 1800’s in the Old South. Hard headed, reckless angel with long blonde hair, Justeen, born into a life of privilege at Briar Manor in Savannah, Georgia, runs away at sixteen with her slave, Ruby, when her wicked stepmother blames Justeen for her father’s death. Joining an itinerant charismatic preacher and his family, they meet a handsome plantation owner in Jacksonville, Florida. Torn between two loves, an explosive exposé at the lighthouse in sultry Florida decides Justeen’s fate. 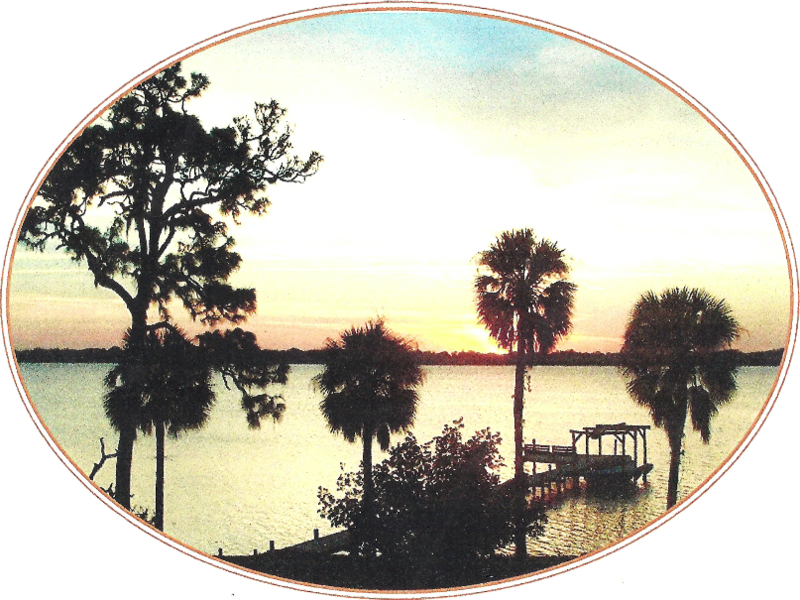 Heaven doesn’t last forever–sultry, sensual, intrigue, politics and murder in the wilds of untamed Florida. Justeen is anything but ordinary and her extraordinary experiences prove it! 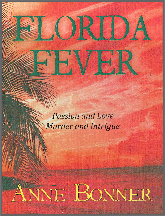 Living through a devastating hurricane, a grueling political campaign, and a contentious court trial, she courageously fights not only for her life, but for the lives of her beloved family when the “yellow jack” fever comes roaring through Jacksonville, Florida. Welcome friends and readers! I’m delighted to announce the debut of my TENTH book. 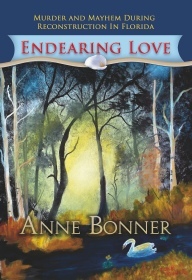 Endearing Love is the last of my adult love stories, a departure from my young adult novels. Will the beautiful Justeen ever find lasting love? 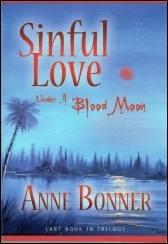 Blood Moon is an evil omen, according to slaves’ superstition, a portent of something bad happening at Pinecrest Plantation outside Jacksonville, Florida in 1859. Making her way in a man’s world is not easy and brings Justine to the attention of a serial killer. She is a young, rich widow pursued by two men, one a handsome, amiable doctor, head of the hospital she built, and the other, her dashing rake brother-in-law, familiar with prostitutes and gaming dens. Who will steal her heart? Becoming a racehorse owner and opening an art studio, Justeen finds glory and despair. Courage and compassion made her special but earned her the name of “slave lover.” Can she find peace and happiness? Find out in the conclusion to this trilogy. Elizabeth Ann (Bessie) Williams, a four and twenty-year-old maiden from Tallahassee, Florida, felt she lived in the shadow of her late, talented, and rich cousin Justeen Crawford of Jacksonville. 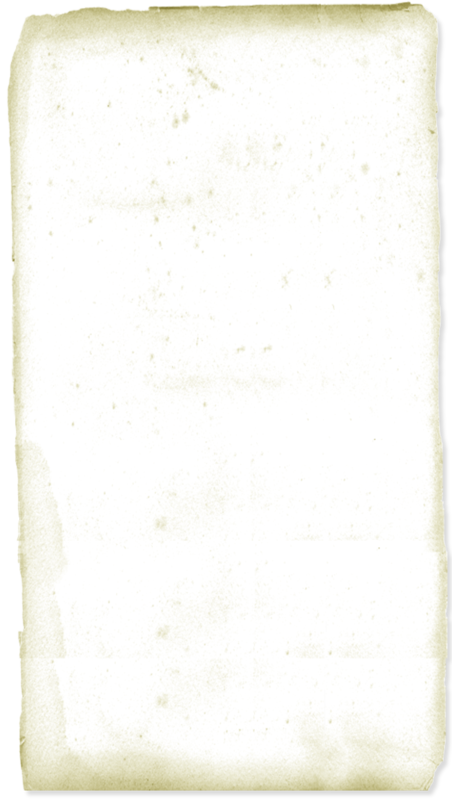 When Bessie was seleced in Justeen’s will to operate Rockmore, the Jacksonville Crawford mansion, and Pinecrest, a cotton plantation outside of Jacksonville, she was overwhelmed. Thinking the servants were there to please her she had to grow up fast when the Civil War (War Between the States) came to Florida. Her accomplishments gave her a feeling of self-worth. When she began to think of others, she felt their love. Was she destined to be an old maid at the age of four and twenty? Her cousin Justeen had been married twice at that age. What happens when she decides to seduce the handsome cowboy at Pinecrest? Could she love the enemy? Look for an explosive ending! Murder and mayhem, love and heartbreak, happiness and despair, Bessie felt her life a pendulum with its ups and downs. Did Bessie's Riding Academy come to fruition? Did she get the gold needed to save Pinecrest and Rockmore from tax default? Was a murderer brought to justice? Fasten your seat belts for a tumultuous ride through the twists and turns of Bessie's trials and tribulations after the Civil War in Jacksonville, Florida. Murder, mystery and intrigue define this titillating love story.